It's popularity is growing and it powers 42% of all online shops (the nearest competitor powers 7%). It's 'open source' giving you full ownership with no restrictions. It is easy to use and with a vast number of free and paid extensions you can do almost anything. 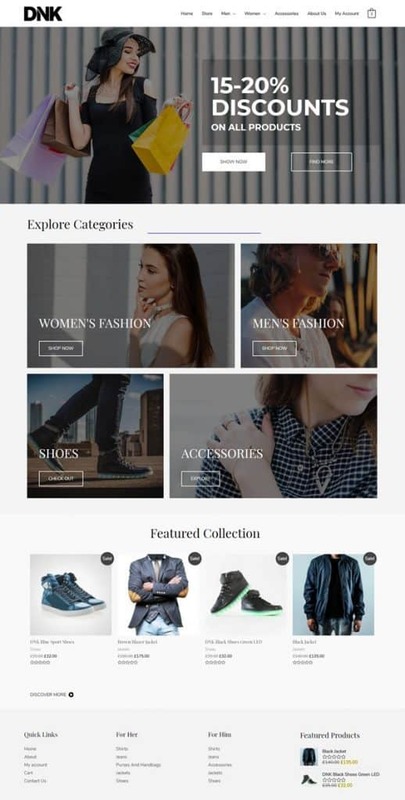 Using these basic starter sites we can build you an online shop in one day. Click on the images to see the example sites. Why build & training days? When we ran our first E-Commerce shop in 2011 we had no idea what we needed. It was a long, but rewarding journey. 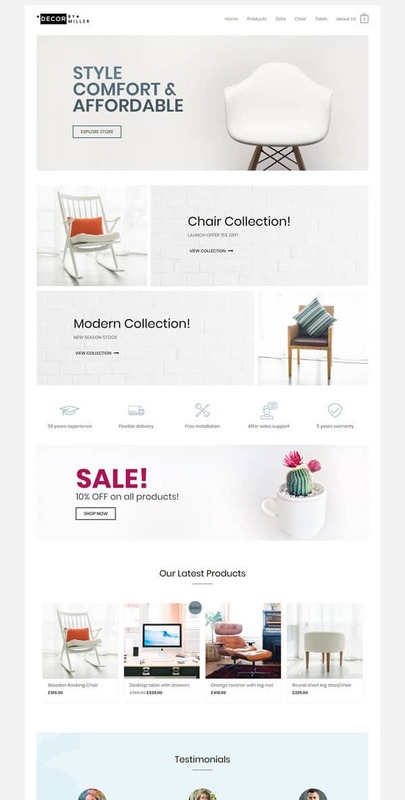 Lucky today it is easy to get a simple shop running with a combination of WooCommerce, easy payment gateways like Stripe, a professional WordPress theme and a page builder. Rather than getting stuck on design issues which usually need to change when a shop is live, we focus more on getting you started and helping you with the skills needed to run an E-Commerce Shop. We help you get prepared. You learn to manage your shop. What can be done in a day? Assuming we have a simple shop we will generally set up a site like one of the example above with some dummy content. Our first aim is to show you how you can add your own content and process orders. 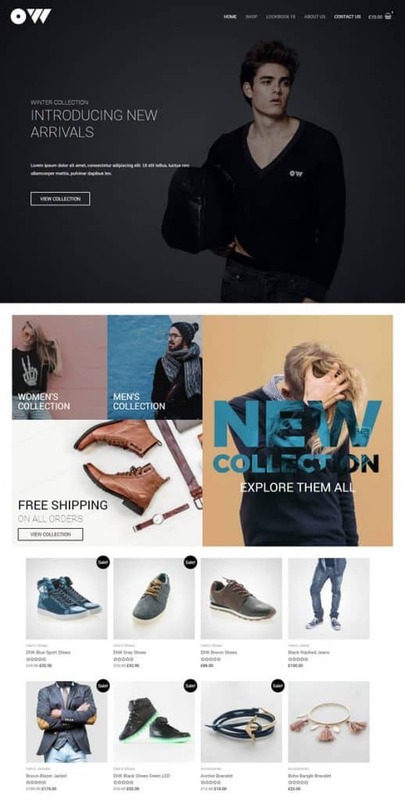 We also show you have you can alter the look of your site and can help with the design. To get the best from us it helps to prepare as much as possible, but we help with that too. You say we can add our own content, but how does that work? We do everything online and much depends on the project. If you are working with us on the day we are likely to have a conference call first where we can walk you though what we have set up. In that way we can show you the basics of adding content to pages. Sometimes much of the styling is in place beforehand. Sometimes we are doing more styling on the day. Before the day begins we will have already had communication about the design. What if I book a day and I become unavailable? If your booking is 14 days away you can cancel and get a refund. You can appoint someone in your place. You can give us your brief and content so we can continue. If there's no brief or content we will do our best and make you a video on how to add content. Who is your service best suited to? If you require an online meeting (we use Zoom) your computer needs a microphone. We share our screen with you so the telephone is not used. To communicate before a build day we add you to a project management system (we use Asana) to organise email contact for you to send content. Everything is straightforward, but we have encountered people who are fearful of any technology. If this is you we suggest you get support or have someone represent you.